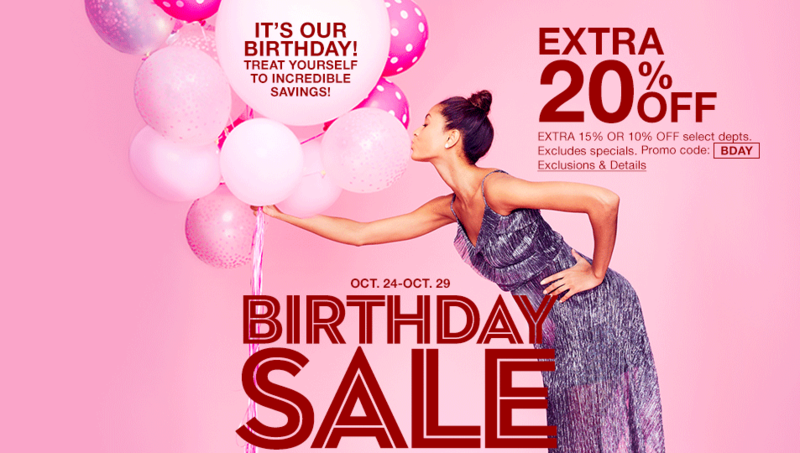 Macy’s Birthday Sale = BIG Savings for YOU! It may be Macy’s Birthday Sale, but it actually means BIG savings for you! Typically, birthday celebrations last for only one day, but in this case, we get to celebrate the rest of the week. And, one last interesting fact: Macy’s did not move to its now famous Herald Square address on Broadway and 34th Street until November 1902. To this day, Macy’s continues to attract shoppers from all over the world, not just in New York City, but at one of its more than 700 stores across the country. * Shark Navigator Light Vacuums only $99.99! * 25% of selects belts from INC and Style & Co.
Of course, this is just a small sample of some of the best deals you’ll find online and at Macy’s during their birthday sale. As I continue to look around the website, I’ll come back to this post and update it with any other deals I find particularly exceptional.